Our Leyland bodied Royal Tiger 377 is the only survivor of a large class operated by Ribble. Restoration work continues with the focus on the back end. 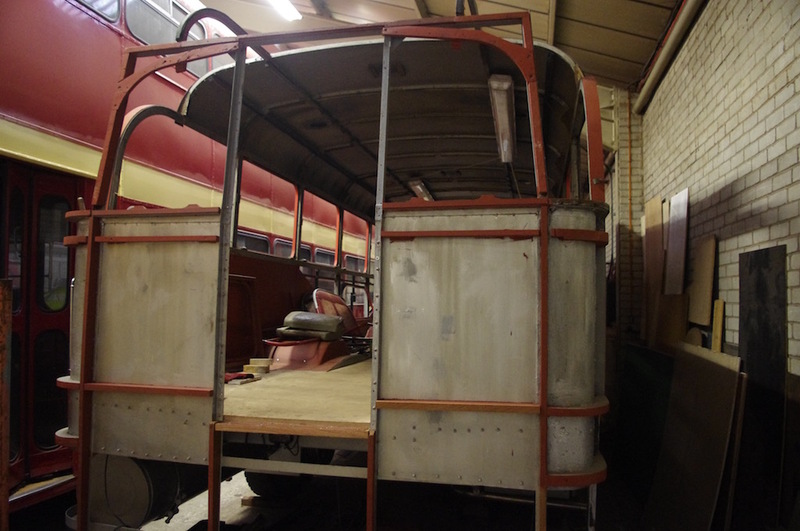 This was heavily modified when it became a wheelchair bus for the Cheshire Home so we’re restoring the original profile. This has required a lot of new wood around the framework, most of which is now in place. The rebuilt emergency door has been test fitted and is almost ready to go on. 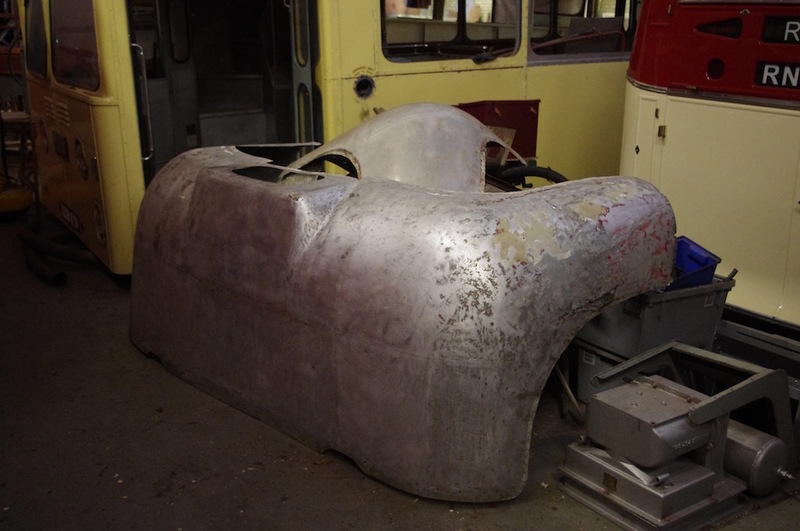 A rear dome rescued from donor 386 was damaged but has now been welded and panel beaten ready to be fitted. Once this back end is completed work should accelerate.